I also have a message tonight for the two governments most responsible for supporting, equipping and financing the criminal Assad regime. To Iran and to Russia, I ask: What kind of a nation wants to be associated with the mass murder of innocent men, women, and children? The nations of the world can be judged by the friends they keep. No nation can succeed in the long run by promoting rogue states, brutal tyrants and murderous dictators. In 2013, President Putin and his government promised the world that they would guarantee the elimination of Syria’s chemical weapons. Assad’s recent attack, and today’s response, are the direct result of Russia’s failure to keep that promise. Whether these airstrikes have crippled Syria’s WMD infrastructure is still to be determined. What isn’t in question is whether President Trump will tolerate Russia’s meddling like President Obama tolerated Putin’s expansionist policies. Way at the end of the video, Charles Krauthammer stated that the initial strike against Syria didn’t say that “there’s a new sheriff in town” but that “there’s a sheriff in town.” Friday night’s airstrike is a refreshing reminder that President Trump isn’t the Hand-Ringer-In-Chief that President Obama was. This sends the unmistakable message that he’ll enforce the red line that Obama drew, then ran away from. Susan Rice’s NYTimes op-ed is a collection of whiny complaints. Among her litany of complaints, one complaint stood out. It’s actually worth examining. Let’s ask ourselves where the political polarization is coming from. Let’s start at the beginning of the Trump administration. When massive numbers of Democrats boycott President Trump’s inauguration, which party is sowing seeds of political polarization? It isn’t Republicans. When every Democrat votes against making even the slightest change to Obamacare, who is the agent of political polarization? It isn’t Republicans. When Democrats vote unanimously against tax cuts that are putting money in families’ pockets and energizing the US economy, who’s sewing seeds of political polarization? It isn’t Republicans. When President Trump puts together a thoughtful immigration plan that give a little (too much?) on DACA amnesty in exchange for funding of the Wall and ending chain migration and the diversity visa lottery programs and Democrats criticize it within minutes of its presentation, who’s sewing seeds of political polarization? It isn’t the Republicans. It’s foolish to argue that Republicans don’t contribute to the political polarization. There’s a difference, though, between contributing to a negative situation and agitating for political polarization. The Democrats’ resistance movement is based solely on political polarization. Similarly, the Iranians know that our resolve to prevent them from acquiring a nuclear weapon may crumble under partisan pressure. China is pursuing its economic and strategic ambitions in Asia unconstrained by an America so divided that we jettisoned the Trans-Pacific Partnership agreement we negotiated, while its signatories reap its rewards without us. First, it wasn’t the Trump administration that negotiated a treaty so bad that they wouldn’t let the Senate vote on it. That treaty didn’t prevent the Iranians from getting a nuclear weapon. It sped up the timetable for them getting a nuclear weapon. Then after speeding up that timetable, the US president shipped $150,000,000,000 to Iran, which it then quickly used to fund Hezbollah’s terrorist activities. Talk about brilliant. Next, China is getting confronted by the Trump administration. The results haven’t always been what we’ve wanted but they’re confronting them. The Obama administration’s policy of leading from behind didn’t work. Period. Rice’s op-ed is titled “We Have Met the Enemy, and He Is Us”. If you define Us as the Obama administration, I agree. This article perfectly illustrates the foolishness of progressive foreign policy. As if we hadn’t gotten too much of that during the Obama administration, we’re getting another shot of it in this article. In the article, it says “The move is also likely to isolate the U.S., cause confusion about its intentions, permit Iran to claim the high ground in any push to renegotiate, and provide both allies and adversaries with more evidence that the United States can’t be trusted.” Let’s start with that last statement about the US not being able to be trusted. What’s true is that the US can be trusted to correct its mistakes that left allies in the Middle East threatened by the developing Iranian hegemon. 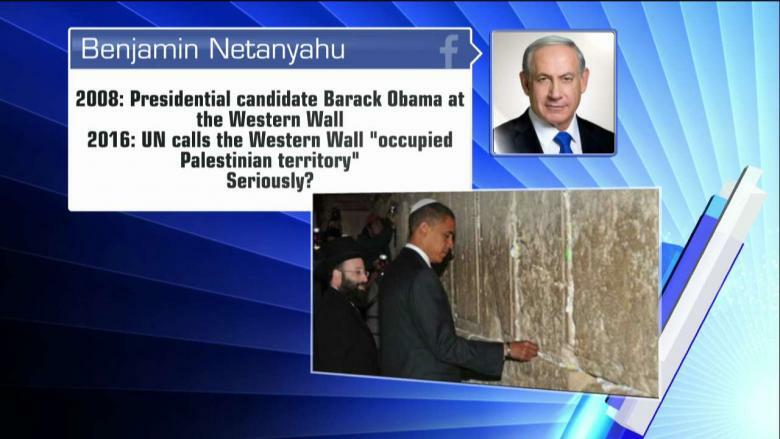 There’s a reason why the nations refused to attend President Obama’s summit on the Middle East. Those nations flocked to President Trump’s summit, though. That leads to the refutation that not certifying the Iran deal again will “likely isolate the US.” Here’s a question the author might want to ask himself: how can a man who gets 50+ Middle East and southwest Asia and north African nations to attend his summit on Iran and its proxies be isolated? Does this look isolated? The 2015 deal lifted sanctions against Iran in exchange for limits on its nuclear program. Iran’s compliance is being monitored by the United Nations, which has declared that the Islamic Republic is sticking by the letter of its obligations. Getting the UN’s word that Iran is living up to any agreement is like getting an arsonist’s word that he won’t play with matches anymore. In other words, it’s worthless. As for the limits, they’re temporary. President Trump is attempting to renegotiate more permanent limits, something the Obama administration didn’t even attempt to do. Iran still is developing a missile program and actively opposing U.S. policy in Syria, Iraq and plenty of other places. Trump, who has called the agreement “embarrassing” and much worse, can’t really declare that Iran is violating its terms. Instead, he’s likely to say Iran is not following its spirit, or that the deal is no longer in the U.S. national interest. The idea seems to be that decertifying will increase pressure on Iran to behave. The point the Trump administration made last week is that the agreement was so limited in scope as to make it worthless. Getting Iran to limit some of its terrorist-supporting actions isn’t securing our nation or our allies. The Obama-Kerry foreign policy was built on the premise that appeasement works. It doesn’t. That’s why it’s important for the US to reassert its leadership in the Middle East. The opening paragraph of Thomas Friedman’s latest column is proof positive that he’s a blithering idiot. It’s proof, too, that he’s overpaid. That is what precipitated this fight over Obama’s decision not to block a U.N. resolution last week criticizing Israeli settlements in the West Bank. The settlers’ goal is very clear, as Kerry put it on Wednesday: to strategically place settlements “in locations that make two states impossible,” so that Israel will eventually annex all of the West Bank. Netanyahu knows this will bring huge problems, but his heart is with the settlers, and his passion is with holding power — at any cost. Before June 4, 1967, Jews were forbidden from praying at the Western Wall, Judaism’s holiest site. They were forbidden to attend classes at the Hebrew University at Mt. Scopus, which had been opened in 1925 and was supported by Albert Einstein. Jews could not seek medical care at the Hadassah Hospital on Mt. Scopus, which had treated Jews and Arabs alike since 1918. Jews could not live in the Jewish Quarter of Jerusalem, where their forbearers had built homes and synagogues for thousands of years. These Judenrein prohibitions were enacted by Jordan, which had captured by military force these Jewish areas during Israel’s War of Independence, in 1948, and had illegally occupied the entire West Bank, which the United Nations had set aside for an Arab state. When the Jordanian government occupied these historic Jewish sites, they destroyed all the remnants of Judaism, including synagogues, schools, and cemeteries, whose headstones they used for urinals. Between 1948 and 1967 the UN did not offer a single resolution condemning this Jordanian occupation and cultural devastation. I’ll finish by stating emphatically that Thomas Friedman isn’t a journalist. He’d fit right in at Media Matters or Think Progress or other far left fever swamp websites. It isn’t that religious freedom isn’t a fundamental right in the United States. It’s that protecting its citizens from Islamic terrorists is one of the federal government’s primary responsibilities, too. There’s judicial precedent stating that forcing people coming from terrorist nations to sign into a register before entering our nation is a reasonable thing. It’s interesting that CAIR is ok with registering guns in the name of preventing attacks but it’s protesting against registering people who might be violent terrorists. It’s foolish to think that sovereign nations don’t have the right to protect its citizens from potentially violent immigrants. In fact, as commander-in-chief and as the chief law enforcement officer of the United States, the president has an affirmative responsibility to protect his citizens from violence. 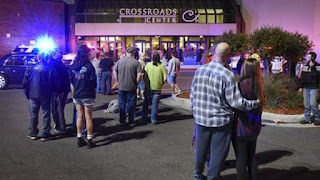 According to this article, ISIS is taking credit for the stabbing spree at Crossroads Mall in St. Cloud. Noticeably missing from Sen. Klobuchar’s statement was a call for knife control legislation. Noticeably missing, too, from Sen. Klobuchar’s statement was her admitting that she supported President Obama’s Iran deal, which transferred $150,000,000,000 to the biggest state sponsor of terrorism. MONTAGNE: Now, in a letter to the president earlier this year, you joined 13 other senators and cited a number suggested for the U.S. by a major coalition of U.S. refugee groups, 65,000 Syrian refugees. That was their number. That would be a dramatic increase. Do you think that’s a realistic number? KLOBUCHAR: Well, the U.S., since we sent the letter, has agreed to increase from the around 1,000 mark to 5 to 8,000. And Senator Durbin and I, who led the letter, see this as a positive sign and a good beginning. We’re talking about it over a period of time, the 65,000. And it is actually 50 percent of what the U.N. commission on refugees suggested that we take. That’s usually the ballpark of what our country does. Now that ISIS has infiltrated Minnesota and the United States, it would probably be wise to shut down the refugee resettlement program for at least a year.